ABB Chief Digital Officer (CDO) Guido Jouret received the NASSCOM Global Leadership Award on Monday at the WCIT-NASSCOM ILF 2018 conference in Hyderabad, India. With the award the main trade organization of Indian IT-BPM companies recognizes Jouret’s leadership in the IT sector in India. A technology strategist, Jouret has over 24 years of experience in the IT-sector and is committed to creating high-tech solutions for businesses in digital transformations. 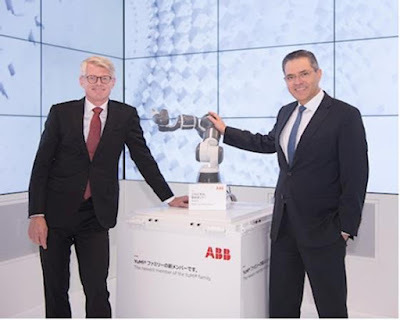 Jouret is the driving force behind ABB Ability, the company’s unified, cross-industry digital capability — extending from device to edge to cloud — with devices, systems, solutions, services and a platform, enabling customers to increase productivity and efficiency.